In November 2016, after 10 years of repairing drysuits and seeing first hand what works and what doesn’t in Cape conditions, we introduced our own brand of suits to the South African market. 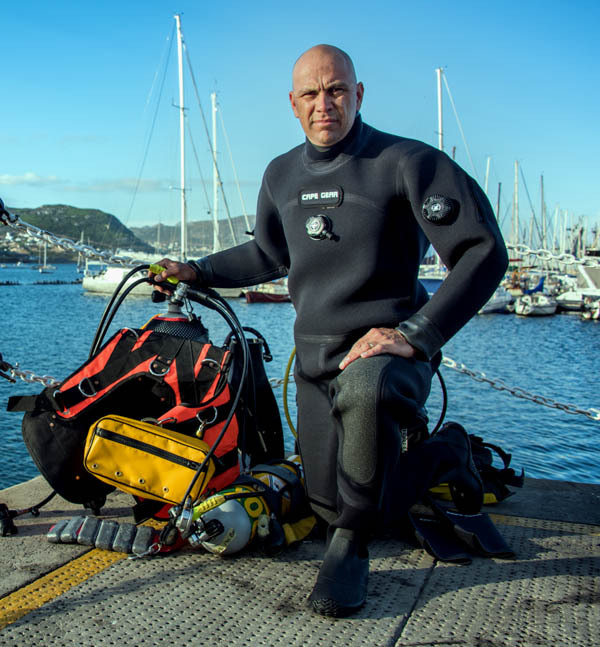 Our suits are made from the very best materials available and are expertly crafted by experienced drysuit manufactures in Malta (Bare Europe). The finishing, fitting of all components and customisation is done by BlueFlash in Cape Town. This quality, highly durable and comfortable 480 gram polyester tri-laminate drysuit is designed for sport and technical divers. There is a lifetime warranty on the fabric and seams. It’s simple and streamlined with no unnecessary frills and gadgets. It’s fitted with Si Tech silicon seal systems as standard. Men’s sizes: S, M short, M, M tall, ML short, ML, ML tall, L short, L, L tall, XL short, XL, XL tall, XXL short, XXL, XXXL with any size boots fitted in 2 or 3 days. Ladies sizes: XS, S, M, M tall, L, XL with any size boots fitted in 2 or 3 days. Fully supported with service and repairs in Cape Town. Optional accessories such as cargo pockets, P-valves, P-zips, leg gaiters, 7mm hoods, dry gloves and spare silicon seals are fitted or supplied at 25% off the list price if purchased with a new drysuit. 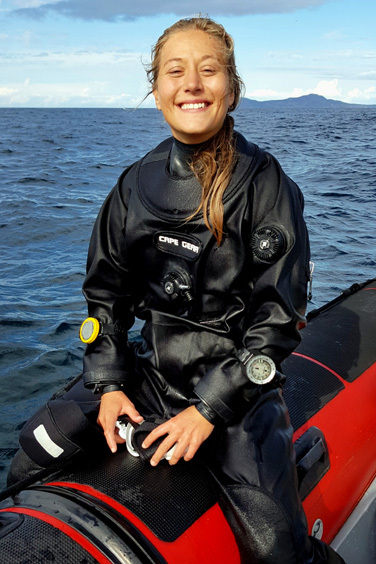 This quality, highly durable and comfortable 6mm compressed neoprene drysuit with double taped seams, is designed for commercial and West Coast diamond divers. It’s simple and streamlined with no unnecessary frills and gadgets. Suits are fitted with neoprene neck and cuff seals as standard, but these can be changed to Si Tech silicon seals. Rubber/neoprene boots are fitted as standard, but can be changed to PVC hard boots or neoprene socks. Men’s sizes: S, M short, M, M tall, ML short, ML, ML tall, L short, L, L tall, XL short, XL, XL tall, XXL short, XXL, XXXL. Sorry, no ladies sizes. You can order your drysuit from your favourite dive shop or directly from us. Because we carry stock of all sizes and we can do individual customisation in just a day or 2. So, if your order your suit on a Monday, you could be diving dry by the weekend! Please contact Grant if you require any more information.